Whether you have 1 car to store or a fleet, no-one on the Gold Coast does secure long term car storage better than Ezyparking. Our happy clients include individuals and businesses who share the same problem - what do you do when you have more cars than storage space. Going overseas and don't know what to do with your car? Call EzyParking Gold Coast long term car storage. Do you have damaged vehicles sitting around waiting for insurance approval? Call Ezyparking Gold Coast long term car storage. Does your fleet temporarily out number your workforce? Call Ezyparking Gold Coast long term car parking. 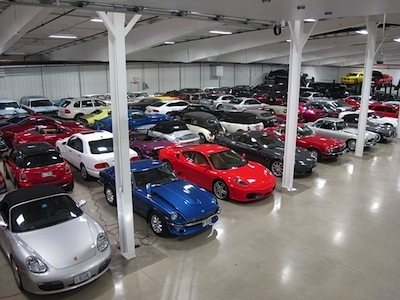 But we don't just store cars! In fact if you can tow it, we can store it.